"Can you put the address in the GPS?" Michael asks as he is already pulling onto the interstate. "Do you want to go North to the National park or back to the same place at South Padre Island?" I ask as I start typing in the address to Andy Bowie park. We go through the pros and cons of each. We have heard good things about the National Seashore. My biggest concern is that it is a reserve, so it is likely isolated. No cell phone service, no internet, no grocery store, no Catholic Church for Easter morning. "It's right next to Corpus Christi," Michael says, "Lets just try it." I change the GPS directions, but after just a few minutes, Michael starts to get tired. I change the GPS directions back to South Padre Island which is a shorter drive. We talk about the differences some more and decide that we want to try something new. We are just 2 miles from the split and I change the GPS a final time to route us toward the National Seashore. We arrive after dark. I decipher the check-in procedure from the pavilion and fight blustery wind as I direct Michael into a parking spot. We tuck in for the night. When we wake up the next morning, the beach is not the first thing on our mind. It is Easter! The girls put on their new dresses and we all walk to the pier for a photo. We start up the bus and I try to put the church address into my phone. No phone service. Michael navigates to the front gate, where I can get a signal and the GPS kicks in. We arrived at St. Andrew by the Sea, and open air church near the National Park. It was a concrete pavilion with concrete pews and concrete kneelers. The pavilion was actually and "open air" church, complete with a concrete altar, a sound system, a holy water font, an Easter Candle, and even a tabernacle encased in plexiglass. As we walk forward the ushers hand us each a carpet square. Since the concrete structures are damp and cold, they have carpet squares for everyone. I had a flashback to 3rd grade gym class for a moment. The church filled up very quickly and you could see the excitement on the pastor's face as so many people arrived. They had a lot of tiny modifications to account for the wind in the open air church. 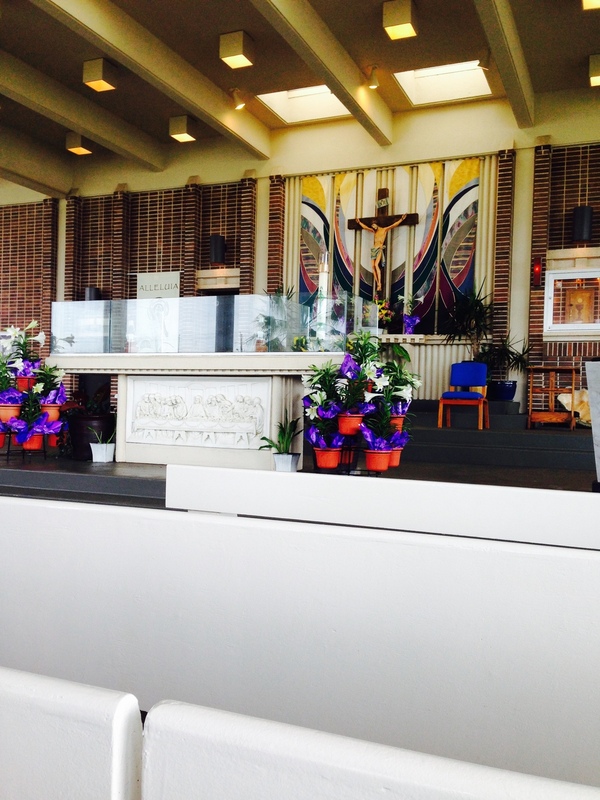 The altar was surrounded by plexiglass walls to protect the Eucharist. The collection was taken in velvet bags instead of baskets. I wondered how long it took to come up with all of those solutions to deal with the wind. The service was quite nice. Our family had been struggling through bi-lingual services in the Valle for Holy Thursday and Good Friday so it was refreshing to be able to understand the entire Mass! We return to the National Park, but Michael misses the turn to the campground and we end up at the visitors center. We decide to embrace the moment and let the kids get out. 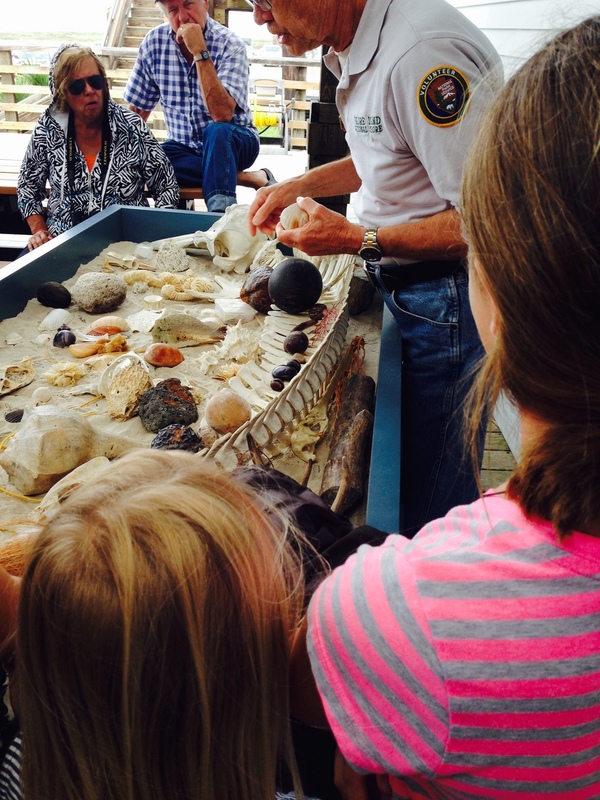 There is a ranger giving a deck talk about the different types of shells, fossils, and sea creatures present at the beach. A few of the shells we have already. Others we had spotted in the past and it was good to know their name. The ranger gives us a pamphlet about the different types of creatures in the jellyfish family that can sting swimmers. The kids study it intently and are suddenly scared to swim in the ocean. The older girls had already helped me fill Easter eggs. 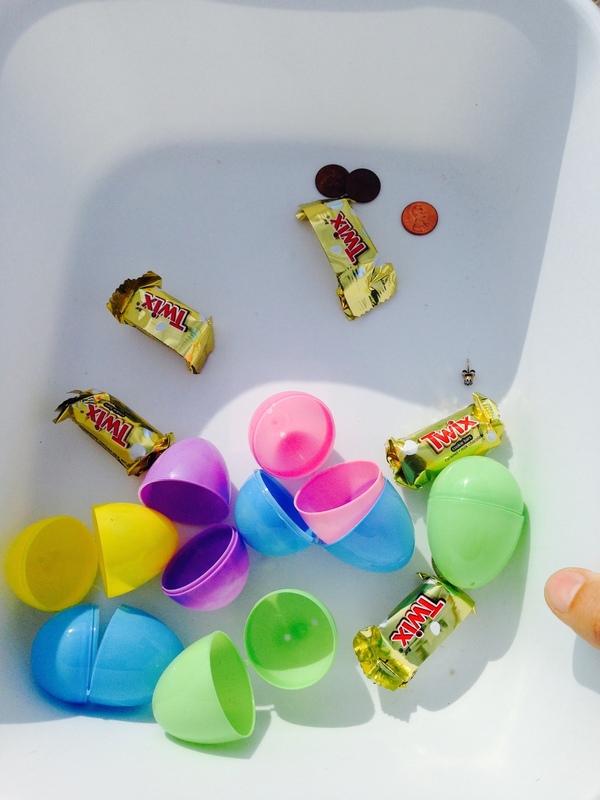 We always struggle with having too many treats, so I just purchased one bag of candy for the eggs. There were a few eggs left over, so the girls went through their bunks to find other treats. Some of our eggs had little pictures. Some had earrings. It was cute. We give Michael a head start. 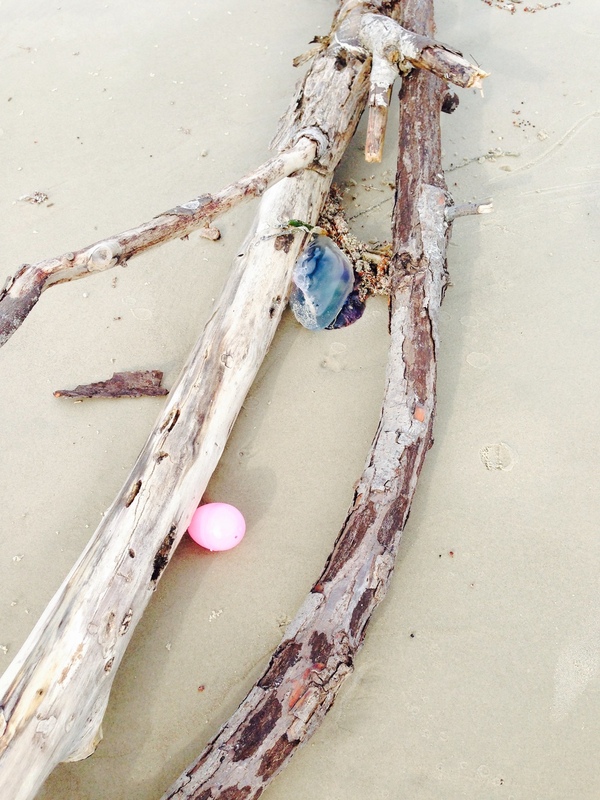 He took the eggs to the beach and tossed them into the sand. As he tosses out the first handful, a group of birds swarm him. It was eerie, but that didn't stop him from trying to take a picture! I sent the kids to the beach. Since we did not get Easter baskets, I just sent them with whatever sacks and buckets we could find in the bus. They got all the eggs and Michael laughs at me as they open them: only one variety of candy and random earrings and scraps of paper! With the egg hunt out of the way, we move into beach mode. The beach is a nature preserve and is not raked each morning like we are used to. It is covered in driftwood and the kids spot about 10 "Man o war" washed up on shore. They too worried to swim. It is windy and cold, so after a short time we head back to the bus for a movie. The next day a family with 2 kids (and lots of sand toys) camped on the sand. All of the sudden, the beach was a lot more sun. The sun came out and we stayed out all day. We walk to the nature center, find a few sand castle remains, and ask what those weird barnacle things were all over the trash. Guess what! They were barnacles. Go figure! We finish off the night with a healthy dose of Aloe lotion.